You might be asking yourself how meditation fits in to a week focused on exercise and reducing your fitness costs. Well, here’s the answer: meditation is an exercise in and of itself. It takes practice, just like your golf game. It improves your health, just like your spinning classes. And it can bring you an incredible sense of peace, just like your trips to the gym. 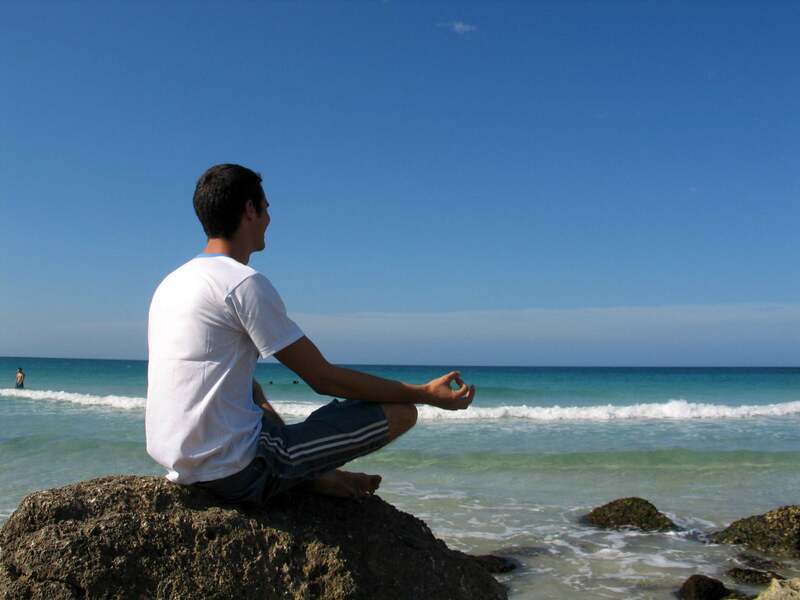 Best of all, beginning a home meditation practice is free of charge. You need yourself, a quiet place to sit and, perhaps, a timer to call you back to the world when you are done. Here are my suggestions for beginning a home meditation practice. My suggestions focus on a simple practice that you can even share with your children! You can choose to meditate at any time of day. Remember to think about what works best for you and your personality and household. Some people find that first thing in the morning is best, others that they need to wait until later in the day after the dogs have been walked, kids are tucked in bed, etc. Find a quiet spot and rest in a comfortable, seated position. While lying down is great for resting, many find that they are unable to stay awake if they are reclined. Consider sitting upright on your couch with your feet on the floor, or in a cross legged position on the floor with your back against a wall or furniture. Bring your focus during this time to your surroundings, noticing sounds outside of your home, inside of your home and finally, the sound of your own breathing. Focus on quiet, easy breath, balancing the length of your inhale with the length of your exhale. As you focus on the breath, counting your breath may be an easy way to clear your mind. Count your each inhale and exhale as one breath, working backwards from the number 15 until you reach the number 1. Try to stay awake during this time and if you feel yourself drifting off, return the focus to counting. Don’t be worried if the mind wanders. Simply acknowledge each thought and then allow it to pass. Try to maintain this stillness and focus on the breath for approximately 10 minutes. A great metaphor is to consider your thoughts traffic passing on the road in front of you, while you wait quietly on the sidewalk, watching them go by. If working on your own is difficult, there are many apps and YouTube videos that can assist you. Guided meditations are a great way to get started and can aid in focus during the first weeks of your practice.